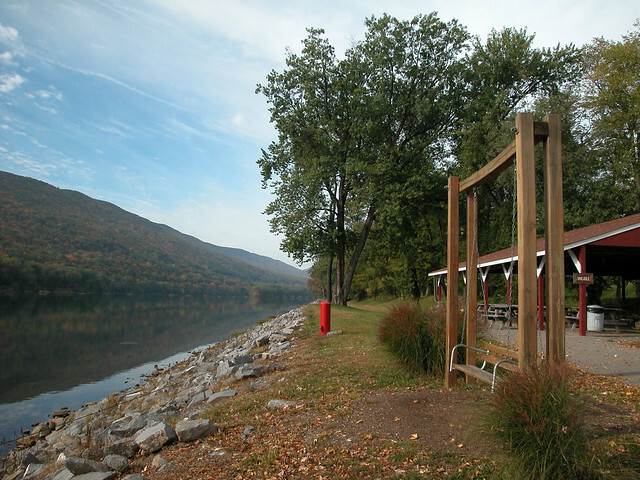 This 20-acre riverfront recreational area is in the city of Williamsport. The Williamsport Chamber of Commerce operates this park in cooperation with the DCNR’s Bureau of State Parks. Contact the Shikellamy State Park office for facility seasons and hours. The modern paddlewheeler, Hiawatha, offers river excursions May through October. Call 570-326-2500 for additional information and tickets. The Hiawatha House has river excursion tickets, souvenirs, and a variety of snacks, sandwiches, and beverages during the operational season of the Hiawatha Paddlewheeler.